ZSK “Senta” is pleased to invite you to take participation in the 11th Chess Festival “The Battle of Senta 1697″ on 20th-28th July 2007. The festival will consist of “A” Main rating tournament, “B” rating tournament, Amateur tournament, Blitz tournament and Rapid tournament with a total prize fund of 4500 Euros. For more information of prizes and schedule, please visit official website. You can also register online. 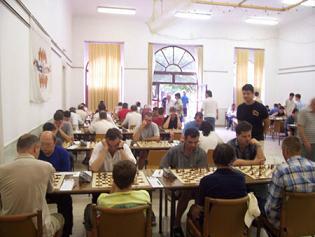 Last year’s main tournament had 144 participants from 7 countries. Winner was IM Misa Pap. The entire festival had more than 300 participants. Read the testimony of group of players from Germany. 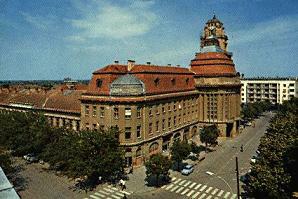 Senta (in Hungarian Zenta) is the center of the municipality with the same name. 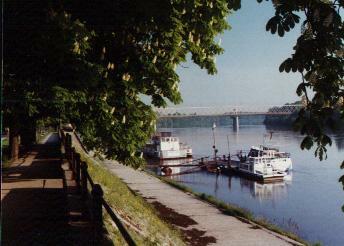 The town lies on the bank of the Tisza River. The first written documents about Senta date from 1216. It had become a market-town in 1506. Today Senta is an educational and cultural center. The town has about 30,000 ha area. Owing to its position, Senta has good potentials for developing sports and tourism, but investments could increase the incomes from agriculture and animal breeding, too. 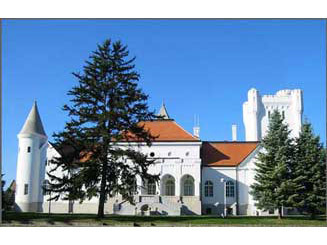 The most important cultural institute is the Thurzó Lajos Cultural Center, which hosts the library, the community center and the museum. 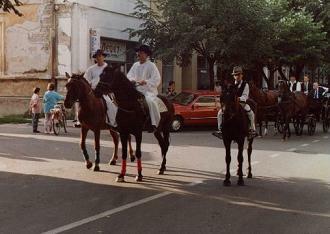 The oldest painters’ camp in Vojvodina operates in Senta. There is a historical archive, numerous cultural groups and a gallery too. This is your perfect opportunity to participate in chess festival and combine it with continental vacation at low cost. Senta is situated in northeast Serbia, near Romanian and Hungarian border, with a world-famous tourist resorts in nearby. Visa is not required for entrants from EU, Australia, US, Canada and former Yugoslavia. Lake Ludas and its area were put under special protection by the Ramsar Convention on the Conservation of Wetlands from 1955, adopted in Iran hence the lake is enlisted among world heritage. Lake Ludas is a distinctive ornithological transit station for a large number of birds migrating through the country in various seasons of the year. 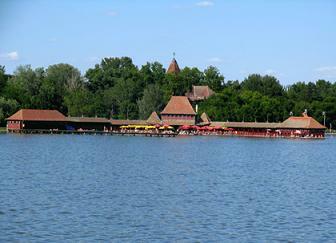 Palic, the 7 km long lake and tourist center used to be an elite resort and spa at the turn of the 19th and 20th centuries. 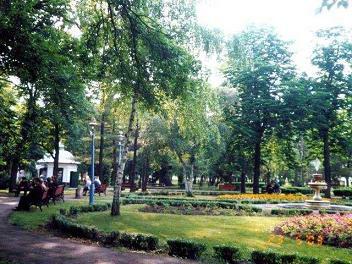 The image of Palic has permanently been changing, improving and modernizing, although it avoided the temptation of industrialization. Fantast is situated near city of Becej (15 kms). The complex is consisted of castle, famous horse stud, chapel, small cashtel, park with lake and tennis fields. The castle itself is of indispensable architectonic value representing a mix of baroque, romantic and neo-classical styles. City of Becej is famous of its sport facilities and unique iod basin. In broom museum in local Backi Petrovac, women can receive official certificate of not being witches if they fulfill certain conditions. Since 1867 Spa “Rusanda” Melenci, offers to all of its guests medical treatment tradition based on mineral peloid, which is considered as one of the most sanative muds in Serbia And Montenegro. Spa is located on the shore of lake Rusanda, and it is surrounded with a well cared park and represents a true oasis of peace. Spa Kanjiza is famous of its mineral water spring, curing mud and program rich with manifestations. All this makes northeast Serbia perfect for a vacation tour. Accommodation prices vary between 20-40 euros per person (full board).